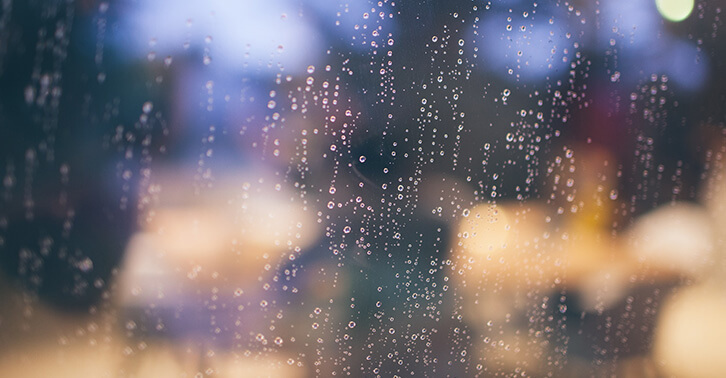 With all the precipitation in the forecast, now’s a good time to go over the effects of rain on your heating and air conditioning system. Luckily, your outdoor HVAC units are designed to withstand harsh weather conditions, such as rain, snow, and even a little hail. Unfortunately, if there are bad weather conditions, you may have to wait for a technician to service your HVAC unit, especially if it’s on the roof. 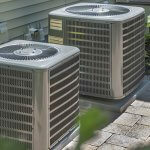 Your air conditioner utilizes heat pump technology to pump heat from inside your home to the outdoor environment. 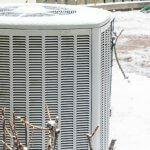 The outdoor unit can either be an air conditioner or a heat pump capable of both heating and cooling. As a “split system,” one unit is located inside (evaporator coil and blower) and the other unit is located outside (compressor and condenser). Since the outdoor unit is exposed to the elements, it has been built to withstand extreme conditions. This is done by sealing electrical components from the rain and using sturdy, corrosion-proof materials, such as copper, aluminum, and plastics. Despite all the precautions, your HVAC system is still vulnerable to damage from falling tree limbs, wind-driven debris, flooding rains, and salty air. 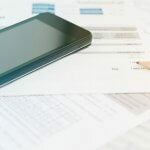 Regular maintenance, which includes a full cleaning, is the best way to ward off repairs and improve energy efficiency. Is Your Outdoor HVAC Unit at Risk in the Rain? Your outdoor heat pump unit is really only susceptible to damage in flooding situations. If water starts to partially submerge the unit, the wiring, electronics, and motor could get damaged. The heat pump can work in the rain, but not in the water. If the outdoor unit is partially or fully submerged, turn off the HVAC system at the electrical panel. Have a professional inspect the system before turning it back on again. Other than extreme situations, your outdoor unit should be fine. It’s perfectly safe to run your heater or air conditioner while it’s raining or storming outside. Should You Cover the Outdoor Unit? 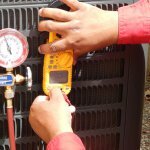 Since your condenser unit has been built to withstand moisture and extreme temperatures, it’s generally not a good idea to cover it. Some people choose to cover their units in the winter to protect it from rain, snow, leaves, and debris, but this can cause more harm than good. If moisture is allowed to evaporate, there’s no problem. Moisture may collect in the cover and the trapped condensation can lead to corrosion and other damage. Do NOT stack anything on top of the unit, especially when it’s running. It needs proper airflow to perform correctly. If you are worried about something falling down and damaging your unit, you may be able to build an awning-type shelter above the unit, but speak with a professional HVAC technician first. Can HVAC Technicians Service Units in the Rain? As a general rule, technicians do not service outdoor units in the rain. Besides the obvious danger of working on electrical components in the rain, moisture could cause damage to the unit. If the unit is on the roof, things are even more dangerous. Not only does the rain make everything slippery, there may also be high winds and lightning. If the weather is bad enough, it’s just not safe for technicians to work on the outdoor unit. Sometimes, however, we will visit a home in bad weather in cases of an emergency. Always check first, but don’t be surprised if a technician has to wait for the weather to clear before servicing your unit, especially if it’s on the roof. If you do notice leaks or signs of water damage around your HVAC system, contact Service Champions before more damage occurs. If you have any questions or concerns, don’t hesitate to Contact the Champions.